Dr D. Katritsis graduated from Athens Medical School in 1979. He trained in General Medicine at St Thomas’ Hospital, London, UK from 1981 to 1984. During the period 1985-1990 he specialized in clinical and interventional cardiology at St Thomas’ Hospital. From 1990 to 1994 he gained experience in arrhythmias and interventional electrophysiology at St George’s Hospital, London. In 1991 he received his PhD degree on coronary angioplasty by the University of London, and in 1992 was appointed Lecturer in Clinical Electrophysiology at St George’s Hospital Medical School. In 1994 he took up duties as Deputy Director of the Department of Cardiology at the Onassis Cardiac Surgery Center in Athens. In 1995 he was offered the post of Honorary Consultant Cardiologist at St Thomas’ Hospital with full admitting privileges, and in 2008 this appointment was renewed until retirement. In 2010 he was elected Visiting Professor at the City University of London, UK. In 2015 he started a scientific collaboration with the Division of Cardiology at Beth Israel Deaconess Medical Center in Boston, USA, and in June 2015 he was appointed Lecturer on Medicine at Harvard Medical School. In 2017 he joined the Hygeia Hospital in Athens, Greece as director of the Unit of Advanced Interventional Cardiology and Electrophysiology that offers comprehensive cardiology care on a 24h-basis. Dr Katritsis has extensive experience in all aspects of interventional cardiology such as coronary angioplasty, mitral valvuloplasty, transcatheter aortic valve implantation (TAVR), percutaneous cardiac defects closure, and renal denervation. In addition, he performs all kinds of electrophysiology procedures, including diagnostic electrophysiology studies, catheter ablation, and implantation of biventricular pacemakers and defibrillators. In 1994 he performed the first Inoue mitral valvuloplasty in Greece, and in 1996 he published preliminary results of one of the first international attempts for the treatment of atrial fibrillation with left atrial ablation. In 2003 Dr Katritsis published the first series in Greece with transplantation of autologous bone marrow cells for the regeneration of myocardial tissue in patients with a prior myocardial infarction. He currently runs active research programs on both coronary intervention and arrhythmias in collaboration with leading Universities and hospitals in Europe and the US. His current research interests include the study of coronary circulation and myocardial infarction, the evidence-based indications of coronary intervention, the application of nanaotechnology in clinical cardiology, and the ablation therapy of cardiac arrhythmias, and especially atrial fibrillation. Dr Katritsis has published over 300 articles in international medical journals on most aspects of clinical and interventional cardiology, and has co-authored several European and American textbooks of clinical cardiology. 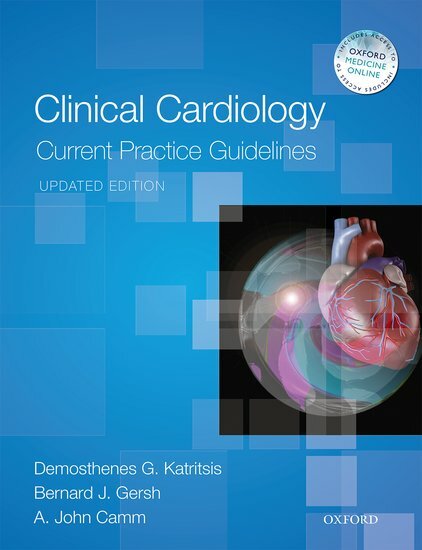 He is the author, together with Professors John Camm of the University of London, UK, and Bernard Gersh, Mayo Clinic, USA, of the comprehensive cardiology textbook “Clinical Cardiology: Current Practice Guidelines”. He is currently Editor in Chief of the journal "Arrhythmia and Electrophysiology Review" in affiliation with the European Heart Rhythm Association and the co-chairman of the Writing Committee for the preparation of the European Society of Cardiology guidelines on the diagnosis and management of supraventricular tachycardias. He leads the Heart Center, a multidisciplinary group of interventional and clinical cardiologists, and offers comprehensive cardiac care at the Hygeia Hospital, Athens, Greece and St Thomas’ Hospital, London, UK.